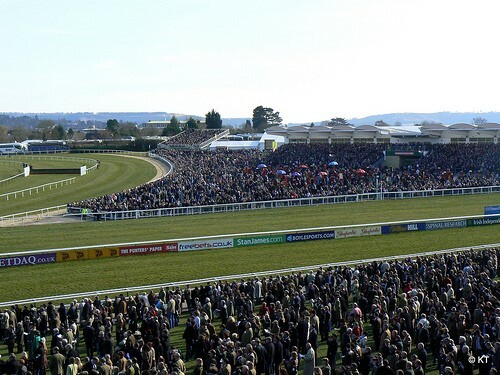 The 2019 Cheltenham Festival puts jumps horse racing centre stage from 12-15 March. With 28 races over four days featuring the best National Hunt thoroughbreds from the British Isles, the sport of kings doesn't get any bigger than this. Our betting guide can help steer you in the right direction. Backing a favourite on the opening day of any Cheltenham Festival can be hit and miss. The traditional curtain-raiser is the Supreme Novices' Hurdle and only one outright market leader in the last 10 years has won it. If you fancy the favourite in the Arkle Challenge Trophy for novice chasers, however, six of the last seven have come in. While trends are difficult to establish for the 3m 1f Grade 3 Ultima Handicap Chase, it's worth looking closely at any six-year-olds rated 137 in the Listed handicap chase over two-and-a-half miles later on day one. The Champion Hurdle is the big race on the Tuesday and 10 of the last 20 favourites have won this. That bodes well for dual winner Buveur D'Air, who is bidding for a hat-trick this year and has antepost horse racing odds of 5/4 with bet365 to land the spoils again. Since the 4m National Hunt Novices' Chase for amateur riders moved from day two to the opening day, no favourite has won the race, so that's another event in which to avoid them. When betting on the 2m 4f Mares' Hurdle, however, be aware that all stats are skewed by six-time winner Quevega. Favourites haven't had a good time in the 2m 5f races on day two, the Ballymore Novices' Hurdle and Grade 3 Coral Cup - another tricky handicap. They've fared better in the three-mile RSA Chase for novices over fences in recent times, so Santini - a Nicky Henderson stablemate of Buveur D'Air - may be one to consider. There are two horses set to run on Ladies' Day at the 2019 Cheltenham Festival considered bankers. The first is another Henderson inmate Altior, who is odds-on with bookmakers to retain his Queen Mother Champion Chase crown. And the other is Tiger Roll, a Gordon Elliott trained Irish raider that comes alive in the spring. 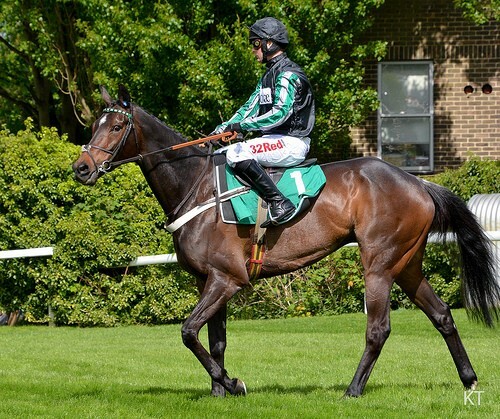 After winning a third different race at the Festival last year in the 3m 6f Cross Country Chase, he went on to Grand National glory at Aintree over an even longer trip of an extended four-and-a-quarter miles. In the Fred Winter Juvenile Handicap Hurdle over 2m, four-year-olds with an official rating of between 127 and 134 is the band for every winner from 2012 onwards. The Champion Bumper - a National Hunt Flat race run at Cheltenham - is more difficult to pin down, but Irish raiders command plenty of respect. Only horses aged six or seven have ever won the 2m 4f JLT Novices' Chase on the penultimate day of the meeting. If you're looking for a handicap hurdle bet in the 3m Pertemps Network Final, meanwhile, then whatever Davy Russell is booked to ride is worth a look after his three consecutive victories in the race. Three favourites in the last five years have won the 2m 5f Ryanair Chase, which promises to be some race this year when many owners and trainers stepping their horses up to avoid Altior. As in that race, the last two renewals of the 3m Stayers' Hurdle have been won by Irish raiders. The market leader has always won the Grade 2 Dawn Run Mares' Novices' Hurdle which was only added to the Festival's Thursday card in 2016. Willie Mullins has trained all of them. A couple of tricky handicaps over fences also take place on the penultimate day. In the Kim Muir Challenge Cup for amateur riders, three of the last four winners were rated 137 or 138. The Brown Advisory Stable Plate is over a shorter trip and it's worth looking at Irish trained runners between 142 and 147. And so to the final day of the Cheltenham Festival. The favourite must be considered in the Triumph Hurdle for the top four-year-old horses, because three of the last four market leaders have won it. Like the Coral Cup, the County Hurdle is a particularly poor race for those at the head of the betting. Horses aged five or six rated 138 or 139 have done best in recent years. The Albert Bartlett Novices' Hurdle over 3m is another event where big shocks can happen, while the Cheltenham Gold Cup itself has a 40 per cent success rate for favourites in the last decade. Both these events have one thing in common; the winner has got to stay. An amateur riders' race, the Foxhunter Chase over the Gold Cup course and distance, follows. Three favourites from the last nine have won that, while two handicaps close the Festival. Trends are tough for both the Martin Pipe Conditional Jockeys' Handicap Hurdle and Grand Annual Chase though.